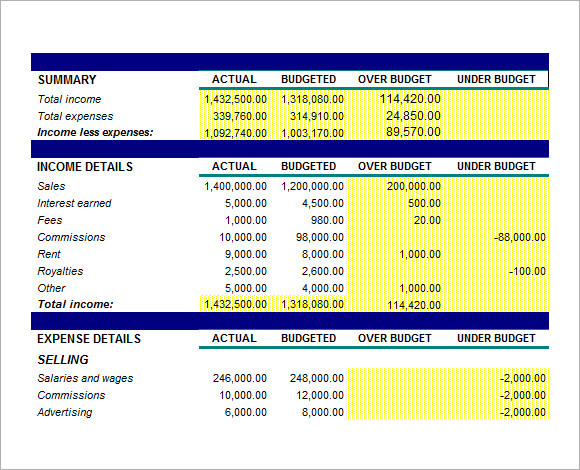 The monthly budget is the usual planning of expenses we see at home by deducting the income made for the whole month. 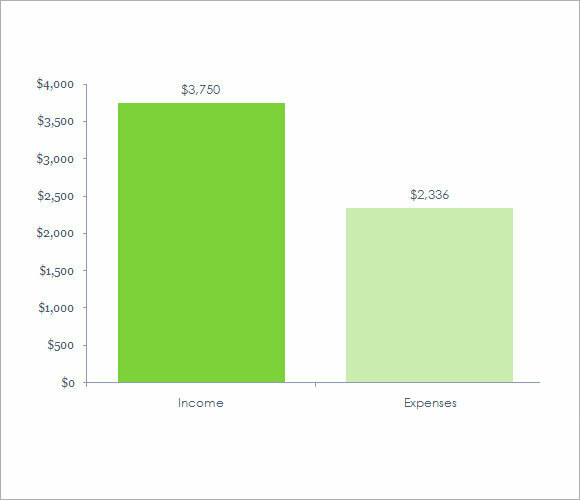 It’s an accounting tool that can help you estimate the expenditures that is needed in home, business or for personal, for you to know if the income or salary you have will be enough for you to adjust the everyday expenditure or the profits you have. 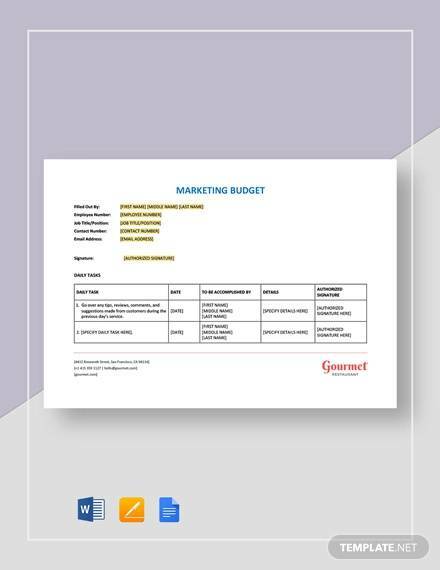 An Monthly Budget Templates has the preferred downloadable sample format which can be useful for your budgeting of expenses for the whole month. A well prepared monthly budget can make you save some money and decide if you need to earn more to accommodate the incoming expenses. If you are running a company then making a monthly budget is the foremost thing that you need to maintain in order to keep a track on the expenses. This template can give you a handy option to do the same without any problem. 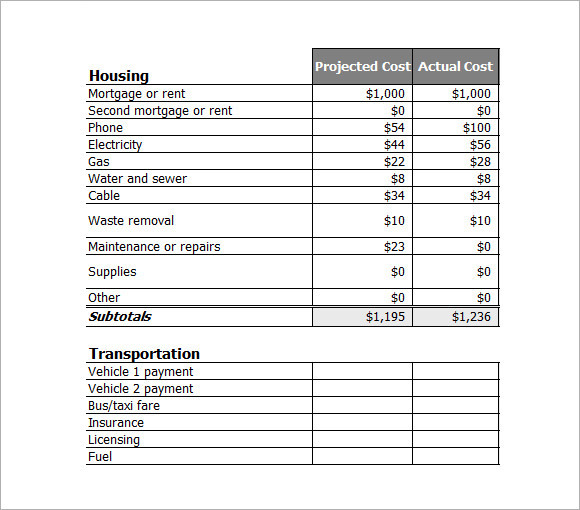 Like all other people if you like to prepare a budget for your expenses then it’s better to maintain budget statement. 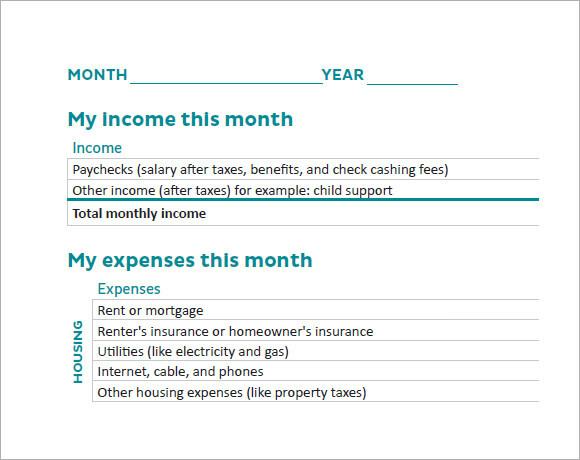 With the help of this template, you can divide your income in the proper heads for the monthly expenses of your family. 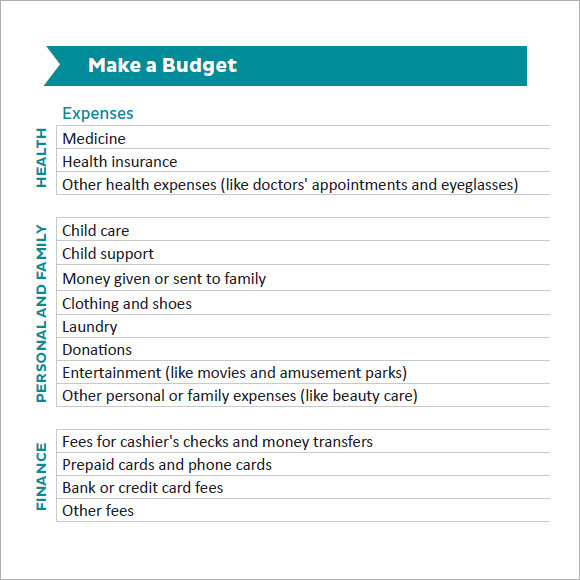 Maintaining a family and its expenses is not at all an easy task to perform, but with the help of this template you can do your budgeting easily and can record the expenses in proper heads and save your money as well. There are some expenses in the family that can be fixed in nature and some of them are variable. With this free template, you can keep a track of them easily as in this template you get two separate divisions to allocate your expenses. Everyone whether a business person or an individual has to undertake some expenses to run the organization or the family in a smooth manner. Hence budgeting can be the best option to understand that your earning is enough to meet the expenses or you need extra bucks to accommodate all the potential expenses in a given month. Failing to do so can lead to various problems in the system. Budget templates which are available online can be the best option for you if you want a concise and proper accounting system to maintain your income and expenses. When you are feeling that your expenses are growing day by day and you just can’t keep them in control, preparing a monthly budget can be very helpful. As with this kind of accounting system you can easily check what the expenses are and how to meet them or how much more money you need to accommodate the incoming expenses for a month. Whether you are running a business or you need a budgetary control for your family if you don’t have any clear idea how to do it properly then the Budget Templates can be your best bet. Budgeting is recognized as the best way to keep a track on your expenses and get a clear picture of the situations that you are facing and analyzing the same you can get a way to get rid of this too. It will help you enormously to save your money and allocate the income in all the heads as well so that you can manage all the expenses properly. With a suitable budget template, you can get a transparent and clear picture which is necessary to adjust the costs and to take a decision whether you will need more money or not to run your family smoothly. Don’t get confused for the growing expenses, take the help of the budget templates and prepare a statement so that you can do the needful in order to resolve the problem.